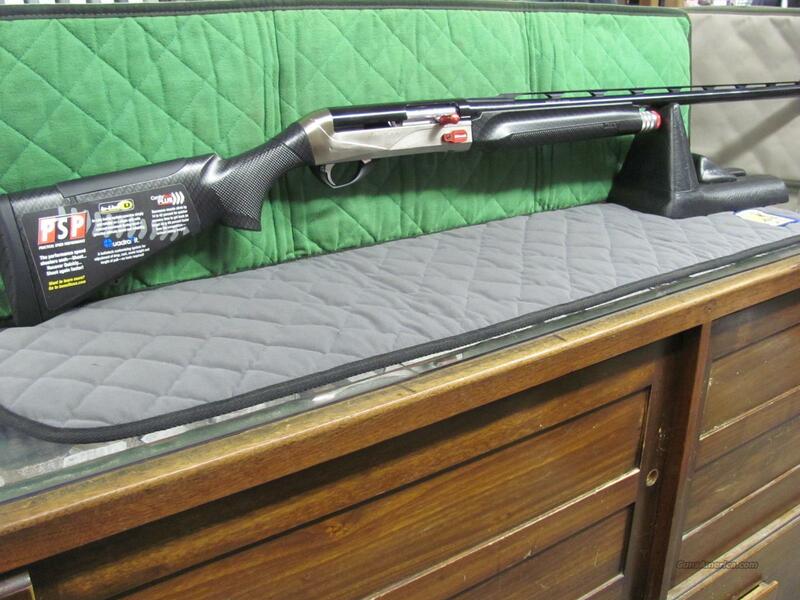 Description: NIB Benelli Super Sport from the Performance Shop. The Benelli Performance Shop SuperSport is the ultimate in speed for shooters looking for a fast trap shotgun, competition shotgun, or sporting clays shotgun. Fine-tuned to achieve outstanding handling characteristics and superior performance, it’s fast and easy to handle with extremely effective patterning. Both the 12- and 20-gauge models feature lengthened forcing cones for a polished taper between the chamber and barrel that ensures enhanced, consistent patterning and reduces felt recoil. The barrel on the 12-gauge is back-bored to .733 inches to reduce back-pressure. Every SuperSport is fitted with Briley’s EZ bolt release mechanism and an enlarged, ergonomic bolt-operating handle. The trigger assemblies have been seer-honed for crisp pull and unexcelled performance. Completing the package is a 6-ounce weighted forend cap for greater balance and smoother swing. The Performance Shop SuperSport features Benelli’s proven ComforTech® recoil reduction system with gel recoil pads and comb inserts as well as AirTouch™ checkering on the stock and forend for a firm, slip-resistant grip. Benelli Crio® barrels combined with Briley’s color-coded Spectrum choke tubes yield denser, more uniform shot patterns.